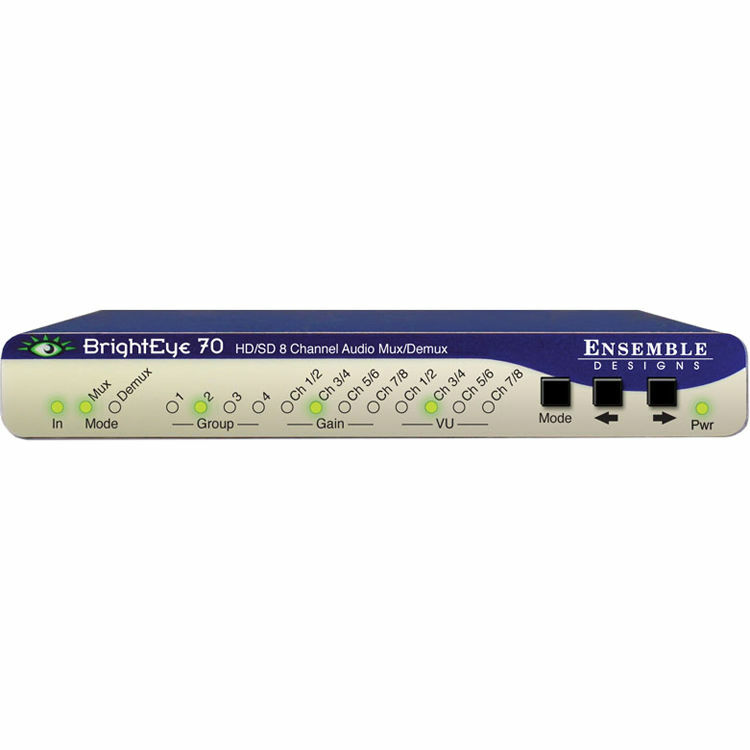 The Ensemble Design BrightEye 70 is an audio embedder and disembedder for HD-SDI digital video signals. 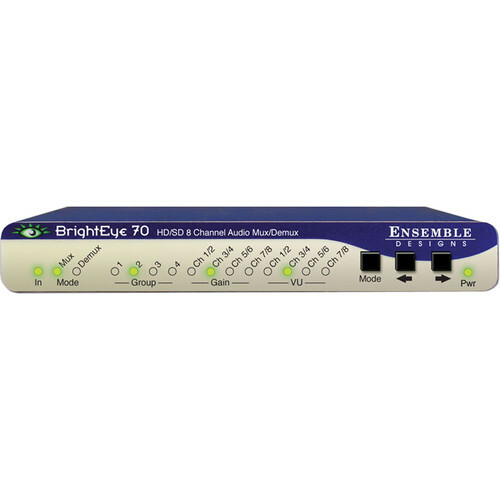 This device will input or extract a digital audio signal to an HD-SDI video signal. All audio processing is performed at full 24 bit resolution by a digital signal processor (DSP). Delay is adjustable up to one second. Eight AES audio channels can be input or extracted.